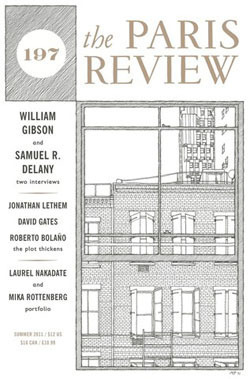 “The Empty Room,” a short story by Jonathan Lethem, appears in the latest issue of the Paris Review. Nice Echo & the Bunnymen reference towards the end. Pretty much their best song. The David Foster Wallace archive opened at the University of Texas this past September. A video of readings from Wallace’s books, stories, and letters, celebrating the event, appears here, thanks to the Harry Ransom Center. Brett was damned good-looking. She wore a slipover jersey sweater and a tweed skirt, and her hair was brushed back like a boy’s. She started all that. — Ernest Hemingway, 1926. Last I heard you had a four floor view … with lots of time … a notebook full of the finest creamy rich girl parchment pages … slowly filled with all your passing days. 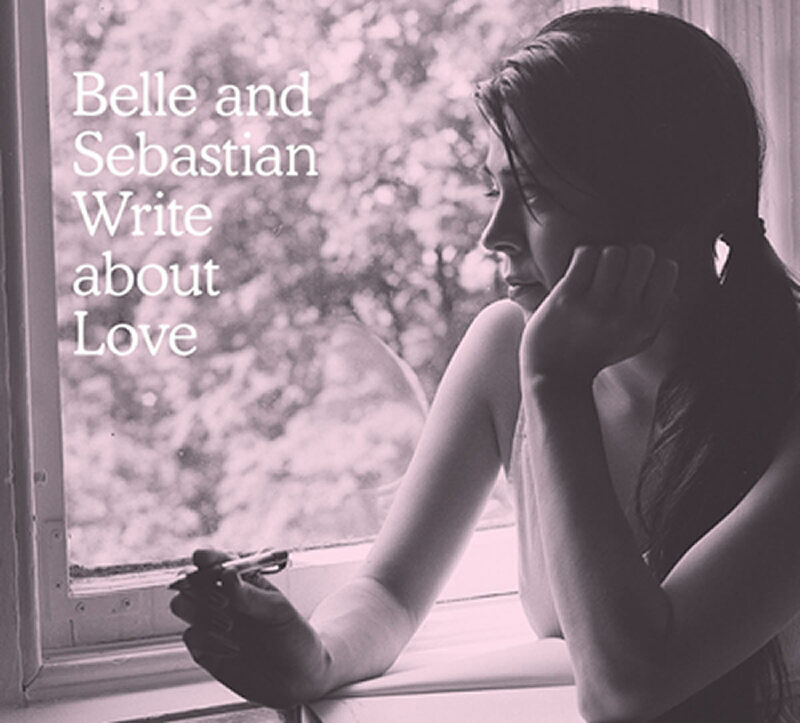 — Belle & Sebastian, 2010. Although DeLillo considers himself to have reached maturity only with White Noise, Americana shows a writer having already perfected his voice at its inception. 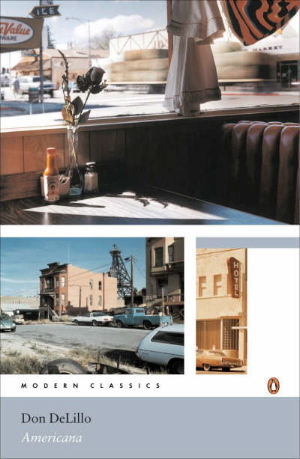 The author’s departure in Americana from traditional tropes of plot, character development and so on bears witness that the essence of traditional formal conventions was not the extrinsic form itself but the underlying pathetic dynamic they successfully sustained. Critique of this departure is therefore as irrelevant as would be a critique of modern theater on account of its virtually ubiquitous disregard for the Aristotelian unities of place, time and action. 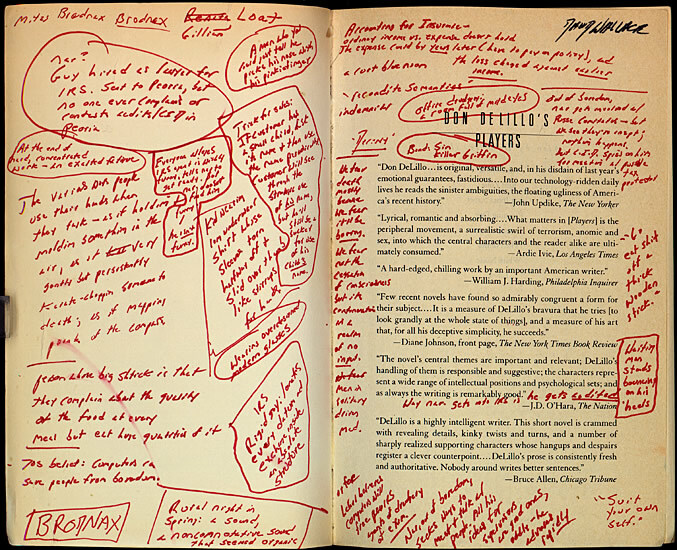 The David Foster Wallace Archive opens later this month at the Harry Ransom Center at the University of Texas, and in anticipation, the Center has posted a number of high-resolution photos of Wallace’s books and manuscripts. Above, his copy of DeLillo; below, his amazing wit and wisdom. 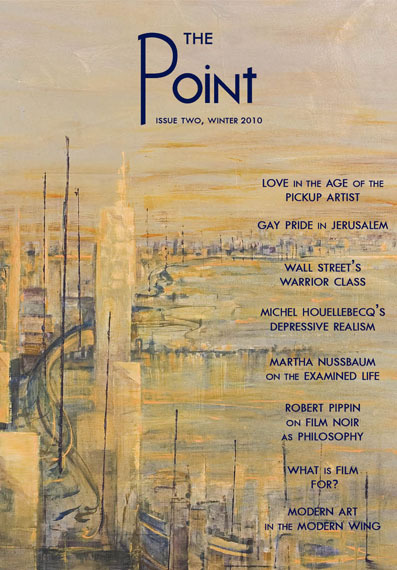 This great essay/speech first appeared in the Winter 2010 issue of Arion.